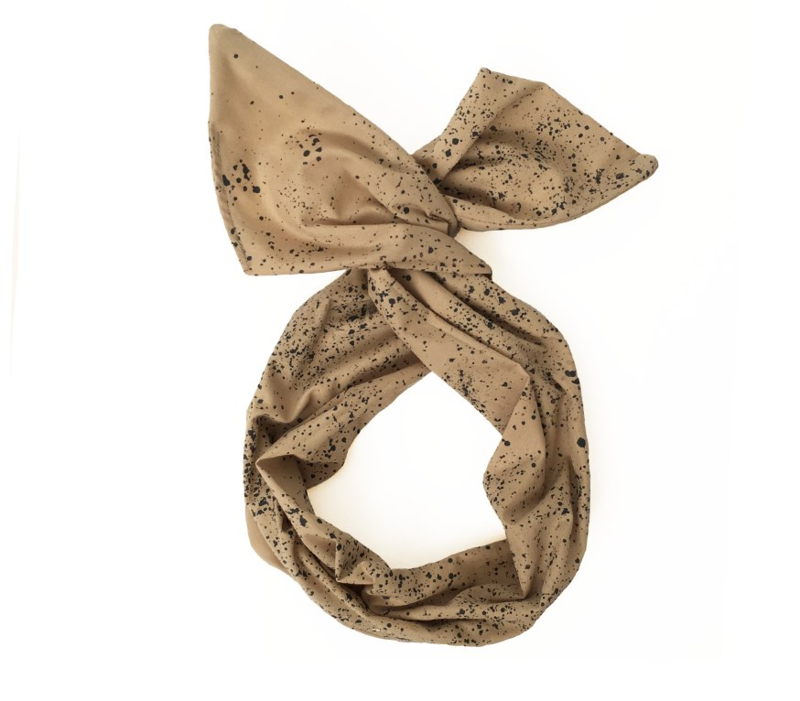 You can wrap this scarf around your head, your bun, or even your neck! The built-in wire keeps it in place with just a few simple twists - and makes it a perfect fit for all hair types and head sizes! Because of the printing process there may be slight differences from piece to piece. Proudly designed, printed, constructed and packaged in the Little Minnow Studio in Austin, TX. Hand washing and air drying are suggested, but the ink has been heat set, so it’s permanent.Made of Poly-Cotton Blend Fabric, Coated Wire, Ink. Size: 31" x 4"